Providing food, structure and meaningful work for guests at St. John’s facility. 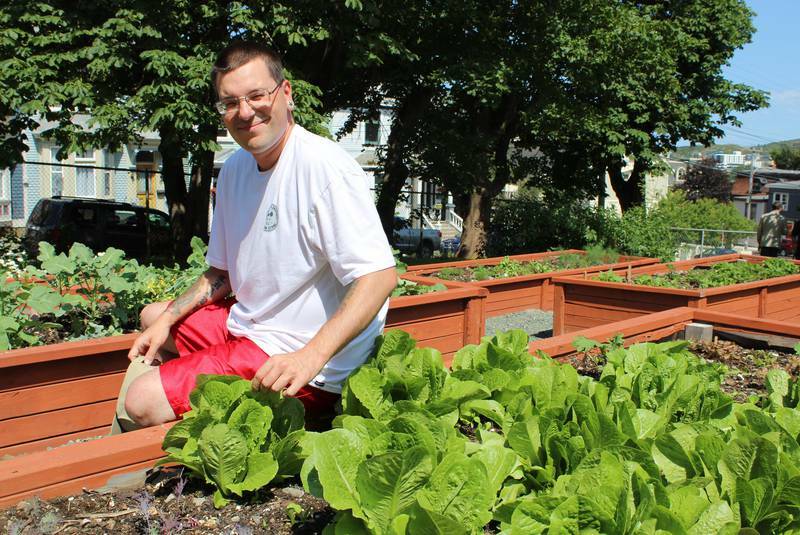 Providing a new skill set … and a means of adding fresh produce to their meal plans is driving the Gathering Place’s garden. Now in operation for its second year, it has expanded in size and in the number of people working it. The community garden, as it has been dubbed, is in full bloom and a host of dignitaries and guests of The Gathering Place were on hand Monday to celebrate its success. The program not only provides food for the guests, but also a work program for people who would otherwise not have an opportunity to earn a nominal amount of money. “The garden started in 2017. There are so many new guests who come here with great needs and we have to find ways to juggle those needs,” Joanne Thompson, executive director of The Gathering Place said Monday afternoon.